Are you looking for a career as an outdoor instructor? Actives four month Outdoor Instructor Training Courses in Scotland offer passionate outdoor people the opportunity to make a breakthrough towards a career as an outdoor instructor and guide. 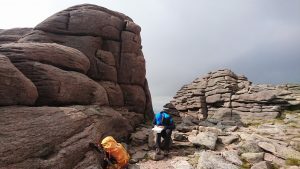 The course is based at the Cairngorms Adventure Centre, in the Cairngorms National Park. This course is unique in offering NGB qualifications in Land, Rock & Water. No other course offers such a wide range of activities and qualifications to ensure you have year round employment prospects. Our team of highly experienced and qualified instructors look forward to working with you. They will train and inspire you to become a competent all round coach and leader. It’s our goal at Active to train and develop instructors who will be top of the game and a credit to the outdoor industry. The aim of the 4-month course is to introduce you to a comprehensive range of adventure activities including: canoeing, kayaking, rock climbing, mountain biking, white water rafting, hill walking and more. During the course we will help to develop your practical and coaching skills to a standard where you can gain a variety of National Governing Body (NGB) Awards. We know how challenging and time-consuming it is for people to gain this much experience. Our courses remove the the barriers and give you an intensive 4 months of training, practice and assessment to transform you into a highly skilled and employable outdoor professional. 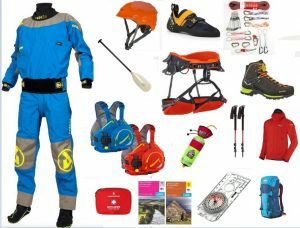 The course is aimed at people who have a keen interest in outdoor activities and enjoy sharing their experience with others or have some experience or entry level qualifications in one or more activities provided on the course. You must be at least 17 years old to take part however, there is no upper age limit. This may be your first training course since leaving school or be a radical change in your career or lifestyle. Either way, this course will have a significant impact on your life, opening new doors and creating new opportunities to work as a professional outdoor instructor. The most important thing is that you are highly motivated, reasonably fit and prepared for the challenges this intensive outdoor instructor training course will present to you. Actives’ Outdoor Instructor Training Courses are full time learning & development courses with 5 days per week spent training. During the course you will train in the following activities. This will provide you with a comprehensive set of skills to kick off your new career. On top of all this, you get the experience guiding expeditions and training days. To assist & shadow activity days and adventure trips with clients alongside our Instructor team. 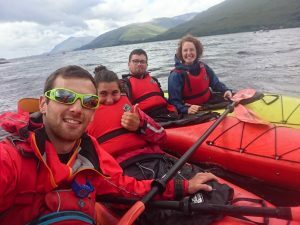 Such trips include the iconic West Highland Way and Great Glen Way; completed in a unique way by foot, bike canoe & sea kayak. Applications are open for the 2019 course dates. We welcome all applicants to contact us to arrange a day to come visit our centre. Speak with staff and join in on one of our activity days to get the full taster experience of what a day in the life of an outdoor instructor is all about. 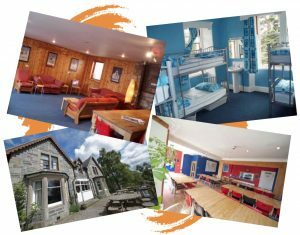 The Cairngorms Adventure Centre is your main base during the course. Owned and operated by Active Outdoor Pursuits the centre is a busy Residential Outdoor Centre for Schools & DofE groups, adventure holidays and expeditions as well as many other training courses throughout the year. Course members will have their own shared rooms within the centre as well as own lounge and kitchen within the staff accommodation. A drying room is available and a large storage area for all outdoor equipment. You will get to know our instructional team some of whom live on-site, learning first hand each day from their experiences. Every one of Active’s instructors and managers started out as ITC students. You can talk to any of them for a first hand account of their experience and how it has helped them establish their careers in the outdoor industry.. If you enjoy our 4 month course, there is an opportunity to extend the fun and learning. We are pleased to offer candidates a space on our winter trip to North America with the 5-month ITC students. For two weeks in December, you will jet out across the pond spending two weeks learning and developing you ski or snowboard skills. 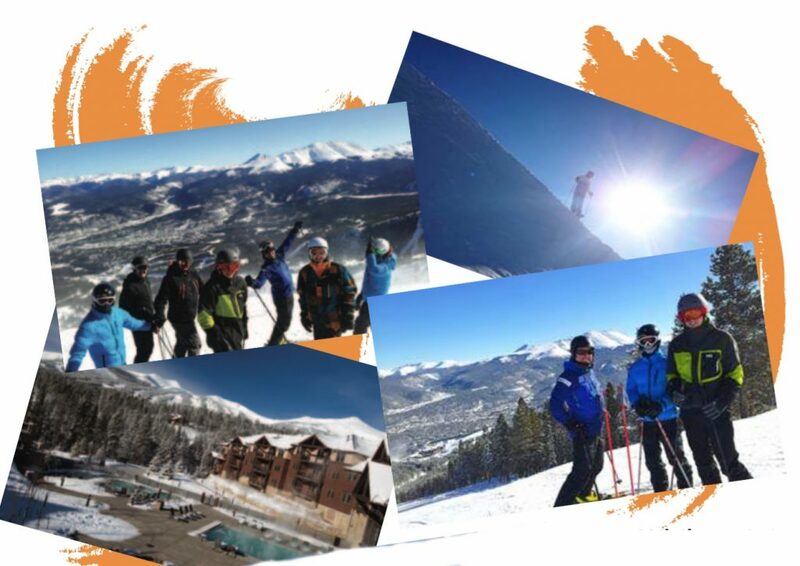 We base ourselves in Breckenridge, Colorado, deep in the Rocky Mountains. This is the perfect ski centre to train at. Its high altitude (the town sits at 9,600ft) and has a huge expanse of runs. Your training will take you step by step through the UK Snowlife Awards, helping you to establish good technique, basic coaching skills as well as piste awareness. Take a look at Actives other instructor training courses; 5 Month Training Course & 6 Month Training Course.